Is FPV in trend yet? What gear will you fly this summer?! On a low budget, I will go with this nice package. Hopefully I will not suffer performance issues. Compiled my build of OpenTX 2.2.3 for Jumper T12 with the alternative navigation patched. Earlier compiler 2.2.3 firmware didn't include R9M flex option. Now I have merged the code from OpenTX/2.2 branch into main and compiled the firmware with correct option. I've got my Jumper T12 for review transmitter few days ago. Unfortunately it came so late that it almost make no sense to make another review, so I thought I will not spend my time making a review, rather I will spend it on something better. I hope BGKevin who sent me the TX will understand. 1. since the Jumper T12 actually is the copy of the Taranis X7 but instead of the rotary encoder for menu navigation it got four buttons, the navigation in the menu is implemented awful and it is very weird, considering such button layout. 2. on the transmitter the switches are marked G and H, but since the companion doesn't have the Jumper T12 radio type and Taranis has switches F and H, sometimes its confusing to configure. OpenTX team said that they will not support JumperTX in any way and the problem left to be solved by Jumper team. I have decided to adventure myself and correct those problems by "porting" the OpenTX firmware to the Jumper T12 in a different way than Jumper team did. First of all, having the + layout of the buttons, it make sense to have the navigation somehow similar to what Taranis Xlite has. Additionaly Xlite has the "shift" key, but it is there more for the trims, because Xlite doesn't feature separate trim buttons for both sticks, so I don't mind that it is not present on T12. This is the first task. After getting myself a new FrSky Horus X10 to enter the OpenTX world, I was offered to review the Jumper T8SG Lite Multi-Protocol transmitter which also runs on a open-source firmware. The Jumper T8SG Lite comes in a small box and assuming the shipping company would handle the box normally it is unlikely to be damaged. In the box you don't get too much - the transmitter itself, a nice orange neckstrap with Jumper text and a mini-usb cable. The batteries are not included. The Jumper T8SG Lite arrived from Banggood. I will use it few days and afterwards will update the review. Until then few photos. I've got my FrSky Horus X10 about month ago. I have updated it directly to OpenTX. I have to say that this is my first time I play with OpenTX (moved from Hitec Aurora 9 and Spektrum DX8) and yet - I don't regret. The voice functionality in OpenTX is great. Maybe default sound pack is not ideal, but Amber soundpack completes it and you have sounds for every single function/mode/switch you toggle if you need, but somehow, I wanted to add some realism to my flying experience and if I can't do it in real life, I can use some Airliner sounds on my TX. I don't know if there are already any realistic soundpacks for OpenTX, but nevertheless I have compiled mine, which I would gladly share with you. Also the soundpack replaces the file SYSTEM/hello.vaw - but this time not with a realistic one but with a very fun one, but I'll let it as a bonus for you to discover. I have installed the Amber and didn't found any filename conflicts, but is up to you to take care of not overwriting your files. The sound pack is attached here and also stored in Dropbox and can be downloaded HERE! Update: The sound pack has been uploaded to GitHub. One can now download it, file by file. One more dream in my list of wishes is realized. I own a 3D printer! Maybe this is not a big achievement in a life time, but definitely it is important in my career as “Engineer”. I’ve learned a lot of things from this build, and I am very ready for the next challenge. 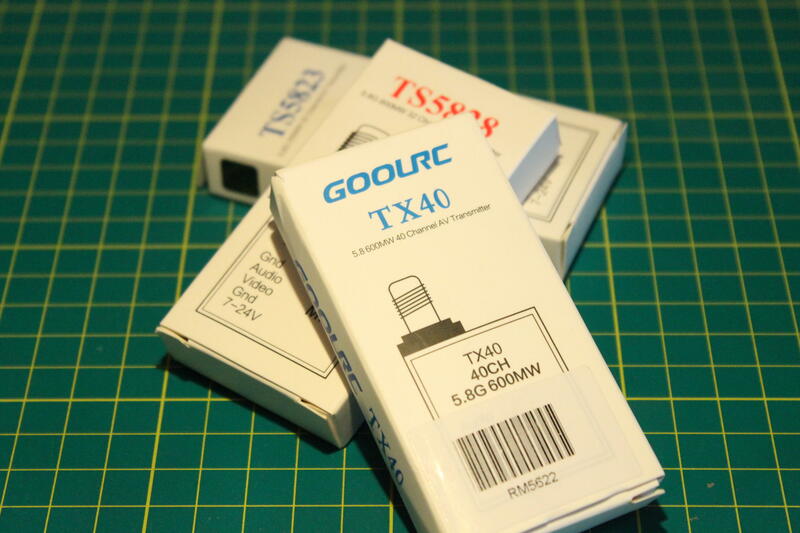 If you are in trouble to find which TX will be the best option for your needs, then I want to make it much worse - because there is at least one new TX on the market - GoolRC TX40 5.8G 40CH 600MW sold on Amazon. This transmitter seems not to be too much different than the well known TS5828, TS5823 or even Eachine TX526. The above specifications are provided by the GoolRC, and when it comes to size and weight - they are quite accurate. Let's assume, you have all the components needed for your new build, for which you are anxiously waiting to finish, but you don't have the speed controllers! Which one will you choose from all the offers available on the market?! 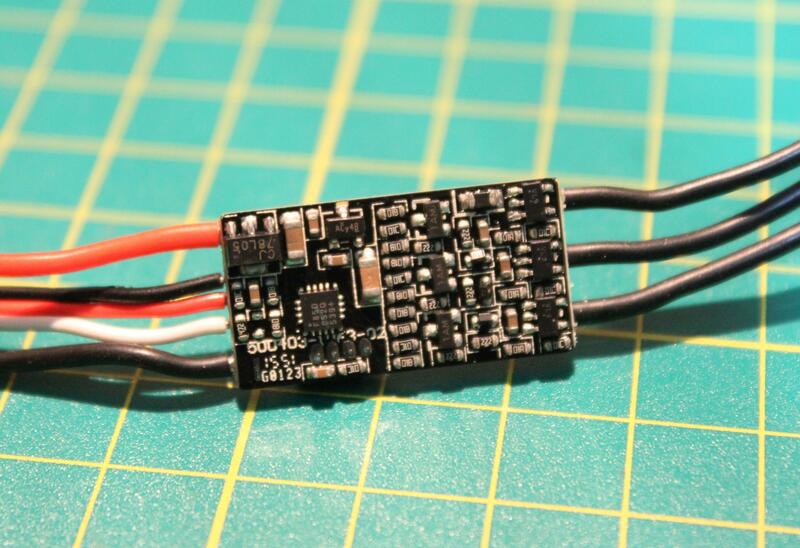 To your attention, I want to present, what seems to be a new speed controller from quite a new player on the market - GoolRC 12A Brushless ESC with 5V/1A BEC which runs BLHeli. The above specifications are provided by the GoolRC and they're not far from the reality. In fact, the weight of the ESC is 9g. While the size of the PCB is 27.15mm x 14mm (the heat shrink length is 40mm), the ESC on it's ticker place measures 5.6mm. 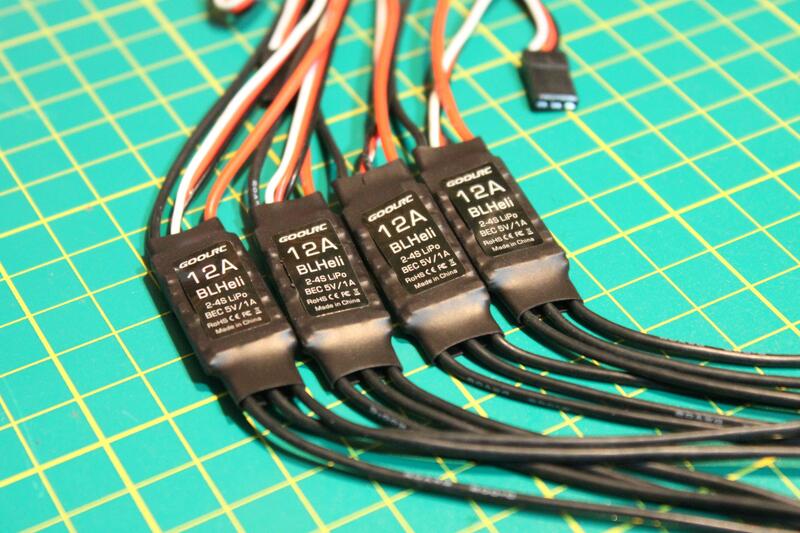 These ESC's have Silabs F850 as main CPU, so they run fine with BLHeli firmware. For the FETs they use, what it looks to be - AON7534. These FETs are rated much higher than 12A, but the performance at 70degree Celsius can drop down to 16Amps. So, I would not run them on bench for long times but don't see any problem in flight, while they get enough airflow to cool down. 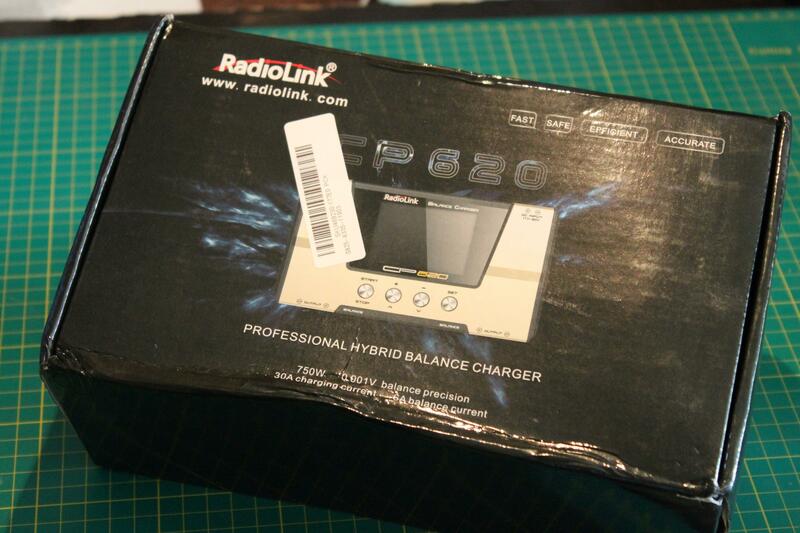 Ok guys, I have the received the RadioLink CP620 Charger from Banggood. First of all, my subjective opinions. There is enough space in the box before it will reach the charger, but anyway, I would suggest Banggood to repack it with a cardboard box, instead of simple bag. This time I will tell you my opinion about the Eachine Ripple FPV EPO 864mm Wingspan All Terrain RC Airplane PNP sold by Banggood! They kindly offered me one for review in exchange of an honest review, for which I want to thank them. Few introductory words about the plane. The Ripple is a seaplane originally, however Eachine or Banggood have decided to say that this is an All-Terrain plane, because it is designed to take off and land on just about any type of terrain – grass, snow, water. Of course, I’ll have to prove before accepting that – so I do think it is a nice challenge for me, or anyone else who owns this plane. There are discussion that Ripple is a copy of Polaris seaplane. In fact they look identical and also the Polaris name is mentioned in the One-page-instruction they provide, but it also looks similar to HobbyKing Skipper XL. At the end of the day, all these three have identical airframe. But, going into politics is beyond the scope of my review. If you want to read who is who, the Polaris seaplane Parkflyer thread is a good place to start reading. Lately REDCON started to release a bunch of different receivers for different brands. They got my attention just because they are much more affordable that original receivers. This is a 7ch DSM2/DMSx receiver with PPM out, which is the best feature of this receiver in my opinion, and at 8$ - let's agree it is more than affordable and a good competitor for all other compatible receivers. Antenna gain: 3dbi gain antenna, 15dbi gain amplifier. Stronger anti-interference ability and farther control range. While testing the new AOKFLY FR2205 motors, wanted to try some new moves and had a bad crash. Lucky me, the only damage was the camera and lost the video from Mobius because the card popped out. 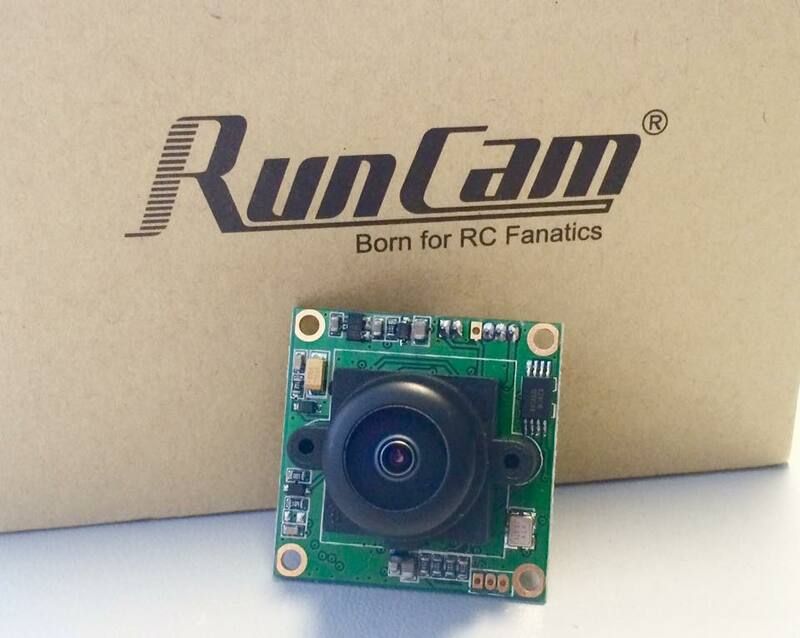 While searching for new camera and checking different reviews, I was not so much impressed about the RunCam Owl. Did not feel the real advantage versus slightly increased price. So, decided to buy a proven by many pilots camera - PZ0420. Beside of FPV, from time to time, I fly LOS, just to maintain my basic skills. When it comes to Line of sight flights I prefer gliders. When It comes to gliders - DLG is an old dream of mine. To enter this discipline, is not cheap at all, if you want to start with a competition grade glider. Even a low end glider will cost a fortune. I was lucky to get a second hand Blaster 3.5 from Vladimir's model. It was crashed but nicely repaired and not as pricey as new one. Here is my first try to launch a DLG, in not so smooth weather. 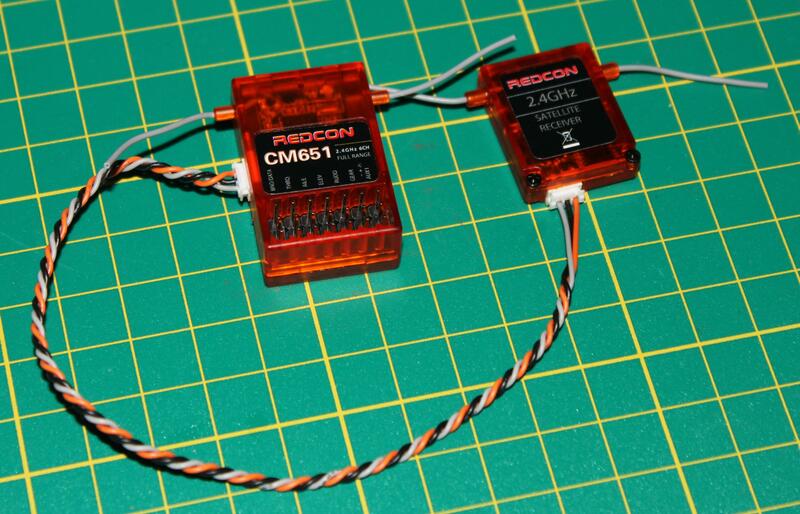 REDCON CM651 is just another Spketrum compatible receiver. Banggood kindly sent me one to give my though about it, so I'd like to share it with you guys. Well, I said "should" because the binding plug was missing, but I don't think that's a big deal, isn't it? Compatible with DSM2/DSMX transmitter and expansion transmitter module. 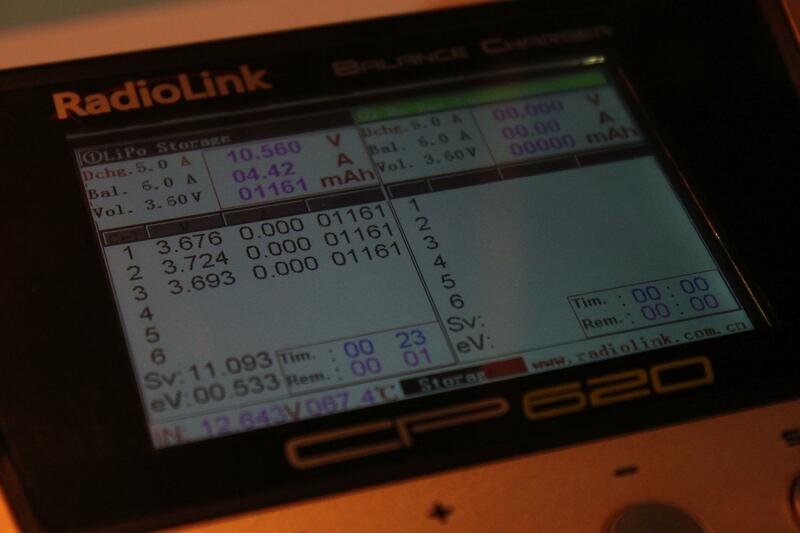 Compatible with Devo10 ,DX6I , DX18,DX7,DX8,DX9 transmitter. 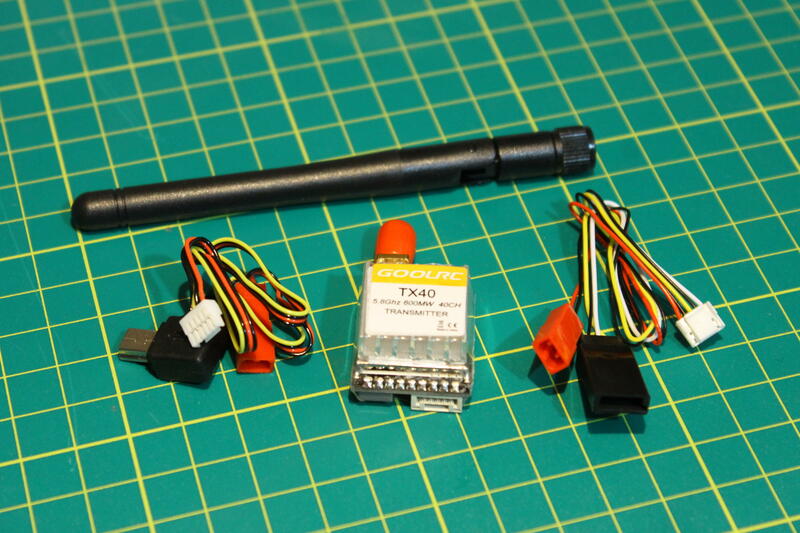 To be more precise the receiver measures 34.5mm x 22.75mm x 12.9mm and the satellite measures 26mm x 20.4mm x 6mm. The satellite extension cable is 18.5cm long. Since this is a 6ch receiver with a satellite, I have classified it as an alternative for Spektrum's AR6210 receiver. Both have the same specs, except that the original is 3.75x times expensive. SmartSafe Failsafe - which by the way I don't like! The only feature I miss in this receiver is the cPPM which because very popular, and I do use in all my FPV planes/quadcopters. My final conclusion is that this receiver deserves it's place on the market, and I will use it as long as I need, instead of an original receiver. At this price, even OrangeRX is not able to compete. I know about the war Horizon is making against, what they call "counterfeit" products, but as long as they're original receivers are overpriced I'll keep to use the cheap ones! Later he showed up to my office to bring a package. Of course I knew what I was expecting so I could not resist to open the package. Received a set of FR2205 2400kv motors from AOKFLY which they sent out for test and review. My first impression: That's definitely a very well packed and the best box I have ever seen for a motor. AOKFLY does not want to look like just another cheap company releasing cheap motors. So I would Congratulate them for good start. well, as you might know, the weather in Europe this summer is not so generous to us(even now is still raining), therefore I had to delay the maiden a few weeks, then I was not able to bring the team together due to the unavailable free time for all. But I couldn't postpone it forever, and I decided to do it by my self - (therefore the video quality is suffering, sorry for that ). single motor pusher version - no underpower problem. Twin version will be even more efficient. there is still a lot of space inside for batteries and electronics. the parts are aligned perfectly. If the plane is assembled correctly no trims are needed. good angle for FPV camera and camera behind the dome (runcam in my case). The only cons I have identified so far, is that with all the weigh in the front, GoPro, RunCam, 2x3000mah 3s batteries, Video Tx, the AP and DragonLink Rx on the CG and additional saving the weight from the tailboom holder - the plane was in balance - or keen to have aft CG. Most probably a gimbal in front or twin motor setup will be slightly different. I invite you to watch the video. You can turn your favorite music on if you don't like to listen to my annoying voice. SkyEye by E-do Model. The best FPV Plane. Build log and review in progress. The Tail. Well, the tail was the first part that I have assembled after receiving the plane. As I said – there were no manual in the box, but it also has one interesting feature which makes it a little bit – different. The plane has a feature called vertical landing. That means the horizontal stabilizer has the ability to deflect upwards. I am still not confident that this would work. From videos on the internet, I would say it is a fast controlled crash rather than landing . Thanks to designers – they made it possible to lock it in place with two bolts. First of all, I have glued the fiberglass reinforcement on the horizontal stabilizer. Then I have glued the corresponding fiberglass reinforcement on the fixed part of the tail. This part also acts like a stopper, so that the stabilizer does not move down – only up. A carbon rod will be inserted thru the moving part (horizontal stabilizer) and the fixed part. It will make the axis/shaft for the stabilized to move on. Also if one wants to disassemble the tail for easier transportation – the spar could be removed by pushing it out with a screwdriver, or anything round of that size. SkyEye by E-do Model. 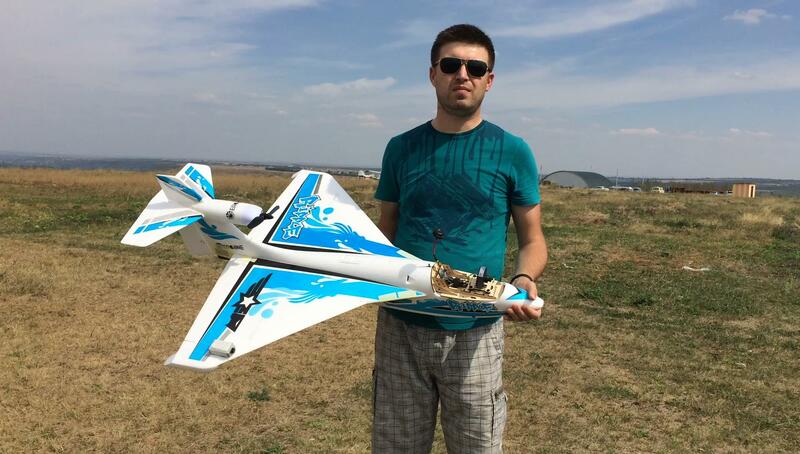 The best FPV Plane. Build log and review in progress.